Slow flowers, farmers markets, craft beer, DIY crafting, organic and sustainable farming methods…there is a movement across America that is worth investigating. It is a call to richer flavors and living, unique experiences, and specialty products and services. It is characterized by slowing down and enjoying the process of creating. The result of returning to best practices of the past results in a unique, healthier, richer products and experiences. The Marmalade Lily Flower Farm and Event Venue embraces this movement with local, specialty, home-grown flowers, floral design classes, U-Cut Wednesdays and Saturdays, and an event venue set in lush landscapes. The Marmalade Lily began as a part-time creative hobby for me, Laura, as a homeschool mom and has quickly progressed into a thriving floral and event venue to share the beauty and creativity of floral design with others. We had our first few weddings in the spring of 2015 and have 56 weddings booked for 2018 alone. I credit the success to the gorgeous grounds, welcoming environment and people, and the charm of the creative experiences offered. We all endeavor to treat our customers to a fabulous respite from day-to-day mediocrity and hustle and bustle. As the founder and owner of the event venue and farm, I play a role in all facets of the business from accountant to head floral designer to the one-on-one meetings I have with our brides. My husband, a director at GE Aviation, has played an integral part in operations And my daughter has been working alongside us on the marketing, social media, some floral design, and special events. The venue is set on our ten-acre flower farm with a pond and barn we worked to create with John Hueber Homes. We can accommodate around 150 seated guests between the first and second levels, but you also have the option to rent a tent for an event up to 200 guests. When you host your event with us, you have use of the inside as well as the outside. Guests love attending events here and we always see them meandering around the gardens with their hors d’oeuvres in hand. Brides love to scatter hi tops, lawn games, photo booths, and vintage furniture throughout the many little flower gardens. 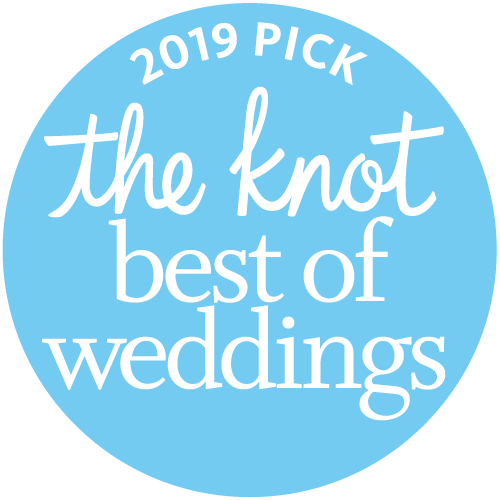 We meet with our brides for personalized consultations at least twice and once for general events to customize their floral designs, floor plan, and anything else they need assistance planning. Hosting such special events for loved ones doesn’t happen often in life, and we want to treat our clients as family and help create an event for them that’s super fun and well-planned! Our in-house floral design is the icing on the cake of all of this…we have a vested interest in making them spectacular! The grounds and barn are unmatched in quaintness and charm, and we treat our brides and grooms like family! Our clients are looking for a breath of fresh air—something different in a sea of all the same. Nowhere in the Midwest can you find a flower farm and event venue wrapped up into one to create an experience, bar none. There is also so much convenience in booking with us since we are both a ceremony and reception site and we also include the flowers in our wedding packages. We have a list of top-notch caterers to choose from instead of limiting clients to an in-house catering service. I love my individual planning meetings with our brides to create a custom floral design and floor plan for them. We meet at least two times and I get to know them so well. I am still in touch with so many of the brides who have been married here.